Our USB 3.0 SuperSpeed extension cables offer the next great leap in data transfer speeds for your devices. 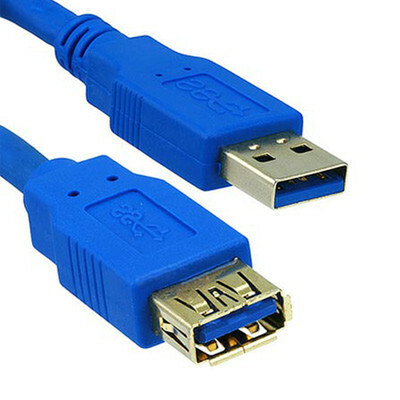 These USB 3.0 cables feature a Type A Male (Computer/Tablet/Laptop/Hub side) to Type A female. This USB SuperSpeed cable enables the extension of an existing device up to a total of 10 feet without a hub/repeater or up to 60 feet (six cables) with hubs/repeaters. This extension cable is fully backwards compatible with previous USB versions. USB 3.0 increases power output from 500 mA to 900 mA, for faster charging of attached devices and support of more robust peripherals. The cable color is blue.